Donkey Kong Country really pushed the limits of what the SNES could do. The graphics were very ahead of their time. I don’t normally rate graphics, but this game gets points just because it had 3-d textures and characters in a 2-side scroller, which was a first for games back then. Also, the sound design in this game is great. Each sound is clear, and you can easily distinct the step of one of those fat brown dudes with the green army helmets from the sound of a crocodile’s mouth opening and closing. This game is loads of fun, with two characters who you can switch between depending on what the situation calls for. There are tons of secrets to find, and riding around on the animals is an experience a true gamer could never forget. This game serves up great challenge without getting too hard. The levels in this game are brilliantly designed, and make for deeply addictive gameplay. If you like this one, check the second and third one also, as the series builds on its weak points as well as its strong points, making for great, well rounded gameplay in all of the games. 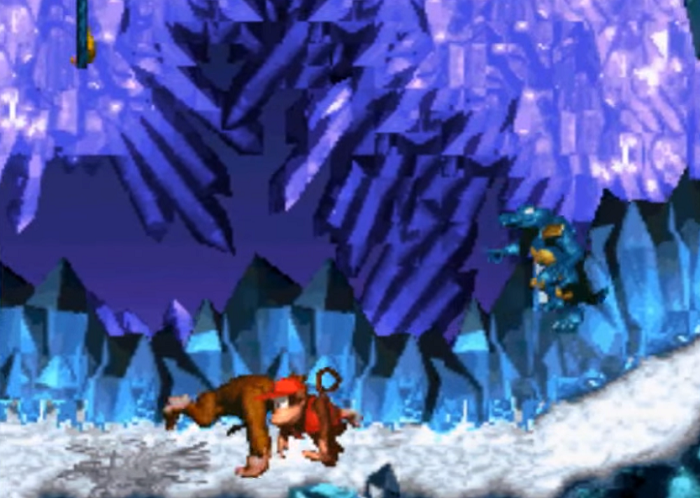 When someone insults a next-generation video game’s graphics with something like, “It could have easily been done on SNES,” she or he may not remember Donkey Kong Country. Even on on X-Box, GameCube, PS2, or that Phantom thingy, the graphics on this baby are no insult. The CG resolution is crystal-clear and the animation in unparalelled. The rain fits perfectly and the transition of weather is flawless. The music isn’t bad either . . . it’s great, from Funky Kong’s theme and the water stages to Candy’s lovable romance beat and the final battle with King K. Rool. Both graphics and sound really push the SNES to its limits. As for the gameplay, that’s great too. The difficulty can challenge and even frustrate you, but you’ll be coming back for more. If I have to say anything bad about the game, Dixie Kong is not here yet and there are no digitized voices. There are grunts and cries, but no actual words. Who would’ve thought that the Donkey Kong series which started out as an “ape throwing barrels at people” game would turn into a full scale, 5 star, action/adventure extravaganza??? Donkey Country had it all. Flawless, clean and sometimes breath taking graphics and effects to complement the endless arrays of level by level challenge and outstanding game play. The many bonus levels intrigued you and challenged you to be your best. The animal companions gave you an extra incentive to play because the Swordfish, the Rhino and the Frog made it that much better and that much fun. 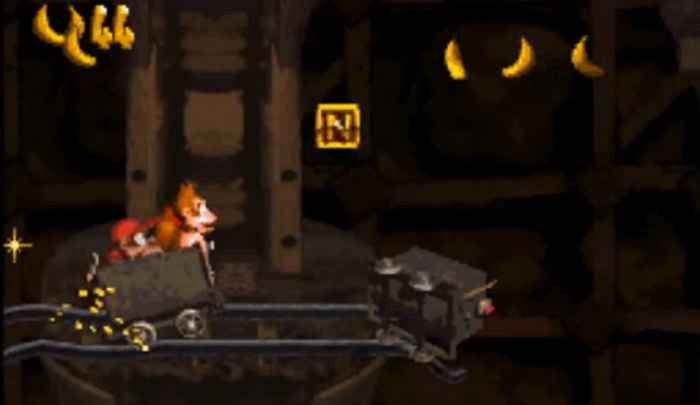 The other thing that really revolutionized action/adventure type games was Donky Kong Country’s boards and levels because none were exactly the same. Each board had it’s individual quirks and perks and each board gave you that needed challenge that other action/adventure type games lacked at the time. You could not put this game down. Me, personally, after 8 months after this game’s release, I was still playing it because it was still that good (that and I was determined to play a perfect game and clear all the boards including the bonus levels). This was the first installment of the newly revived series and it was a MUST NEED and still is. I would definately recommend this series to anyone and for those of us Triple Crowners (own the PS2, X-Box and Gamecube), I would definately stop all of the other games I was doing when the next installment of the Donky Kong series came to the home system. But for now, get this one and play the hell out of it! Gameplay : 10 / 10 This game serves up great challenge without getting too hard. The levels in this game are brilliantly designed, and make for deeply addictive gameplay. I have completed this game so many times I have lost count. Graphics : 10 / 10 The graphics in this game are probably the best seen on a SNES game. Sound : 10 / 10 The sounds in this game are probably the best seen on a SNES game. Overall Rating : 10 / 10 I remember the hype when this game first came out, People thought this game was running on a next gen system. 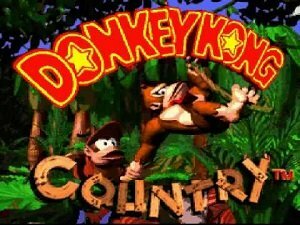 Donkey kong country is regarded as one of the best games released on the SNES. 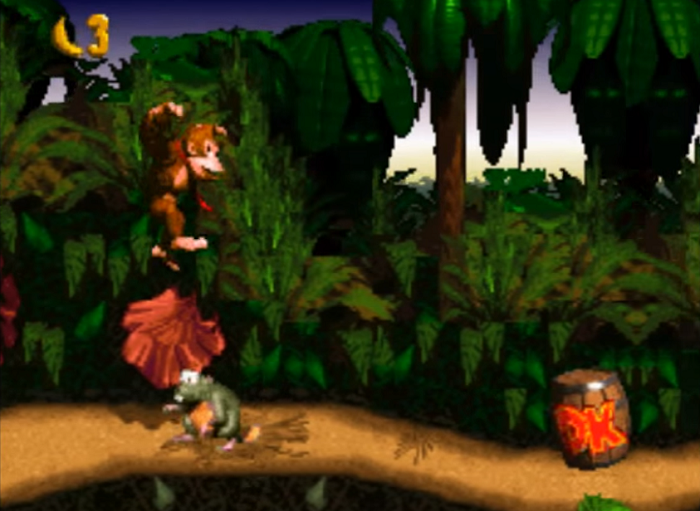 Have you played Donkey Kong Country on the SNES? If yes please post a comment below with your review of the game and we will then post your review here. If you could also submit your rating with the form below that would be great. 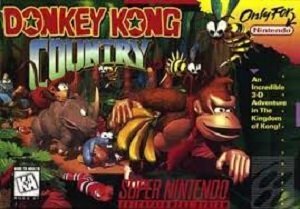 Did you know: “Donkey Kong Country” is the third-best-selling Super Nintendo Entertainment System video game (9,300,000 units sold). Answer : Check out this page where you can find everything you need to know about the game. Question : I have played this game to death, are there other games like this I can play? Answer : You can check out the ROM hacks for this game, Check out the below rom hack games.